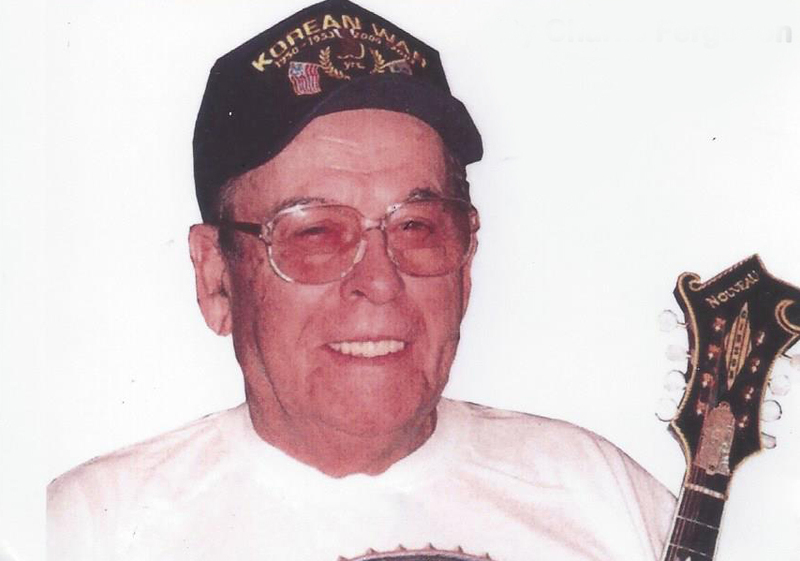 Charles Robert Ferguson, 89 of Narrows, Va. Passed away peacefully Friday evening, November 23, 2018 at his home. Mr. Ferguson was born on June 14, 1929 in Giles County, VA and was a son of the late Charlie Phillip Ferguson and Ella Mae Smith Ferguson. Besides his parents, he was preceded in death by his son, Clay Patrick Ferguson. Mr. Ferguson was a lifelong resident of Giles County, was a U.S. Army Korean War Veteran, a member of the local VFW in Narrows, was a retired supervisor at the Hercules Radford Army Ammunition Plant in Radford. Mr. Ferguson was an accomplished bluegrass musician who taught many how to play. He was a self-taught artist who loved to paint landscapes. He was an avid fan of Greenwave football. He also loved spending time with his family and friends. He is survived by his wife of 57 years, Loetta Jewell Southern Ferguson of Narrows, one daughter, Cynthia Ferguson Vaughan and Fiancé Rodney Perdue of Narrows, one brother, E.J. Ferguson of Cincinnati, OH, one sister, Barbara F. Wood of Rich Creek, seven grandchildren, Miranda Dunn, Eric Ferguson, Kayla Evans, Tiffany Sublett, Josh Vaughan, C.J. Ferguson, Nolan Ferguson and thirteen great grandchildren. Funeral services will be conducted Monday, November 26, 2018 at 2pm at the Riffe – Givens Funeral Chapel in Narrows with Pastor Jerry Hagerman officiating with burial following in Fairview Cemetery in Narrows. The family will receive friends at Riffe – Givens Funeral Home Sunday evening from 6 – 8 pm. The family is being served by Riffe - Givens Funeral Service in Narrows, (540) 726-2442, and online at riffefuneralservice.com.